​Maria Kirsten has been teaching accessible yoga to grownups and beginners in Lennox Head since 2000. She is trusted by local health care providers as an experienced teacher to whom they can safely refer their clients. 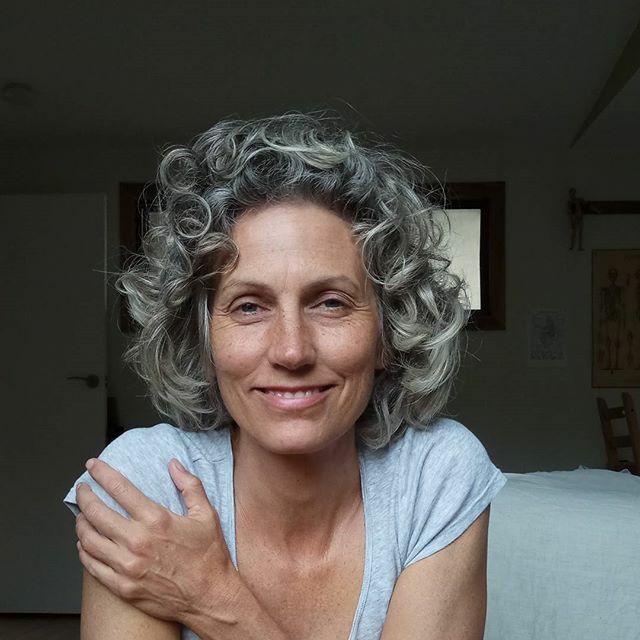 Maria teaches regular Yoga for Grownups and Yoga for Older Grownups classes at the surf club in Lennox Head, and works privately as a Yoga Therapist and Occupational Therapist. Maria's areas of experience and interest are in healthy aging, chronic pain management, and proactive management of mental health. Maria is committed to making yoga safe and accessible for everyone, especially people who thought they could never do yoga. She is committed to the principles of inclusion, meaning that everyone benefits from yoga classes which provide students with the skills and the space to individualise the practice. Classes with Maria are anatomically and functionally based, take a big picture perspective, and are very visual and fun. Students leave class with a better understanding of their bodies and minds, and feeling empowered to proactively manage their mental and physical health. Maria is a dynamic speaker and presenter that can adapt to any audience. Her Yoga For Grownups DVD is popular among students, teachers and therapists.